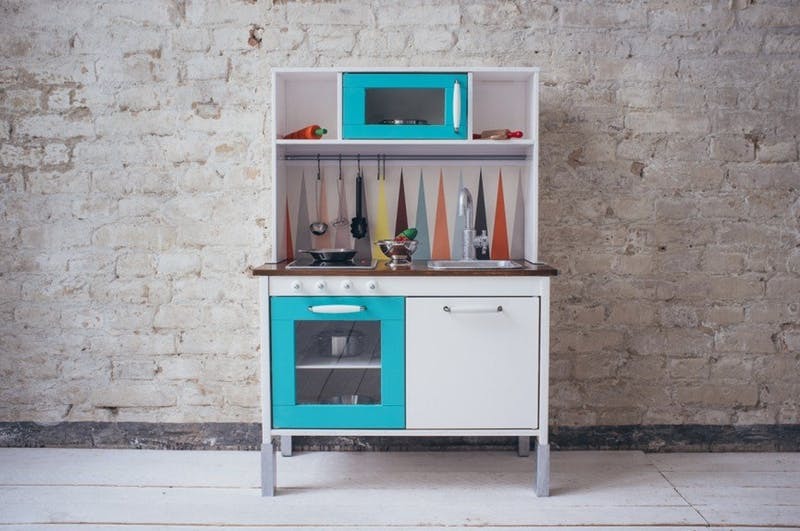 I’m in love with the Ikea Mini Kitchen, the Duktig to be exact. 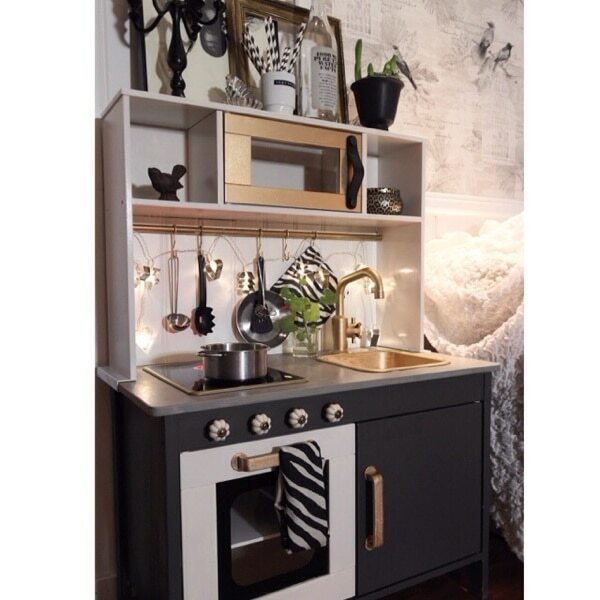 But my friend Becci just sent me links for the Ikea Play Kitchen Makeovers and I’m now obsessed. The boys are getting a Duktig Ikea Play Kitchen for Christmas and I totally have to decide on our theme! These are totally my favorites. 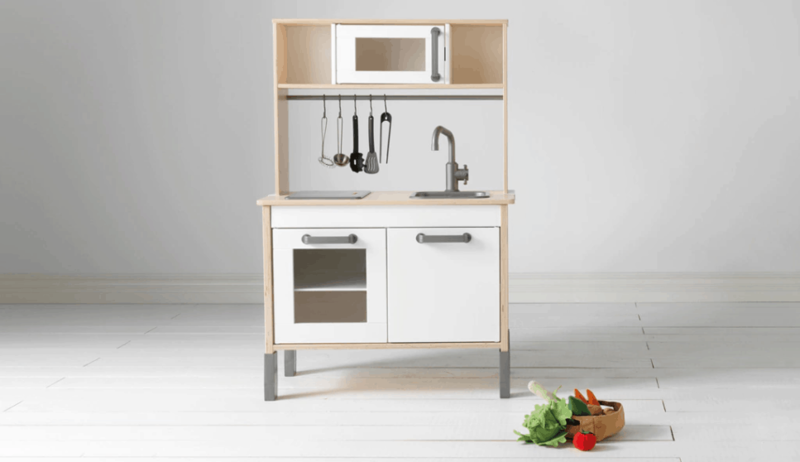 These play kitchens are so so good. Ikea Duktig Dream Kitchen Makeovers! The marble contact paper, the copper fixtures. 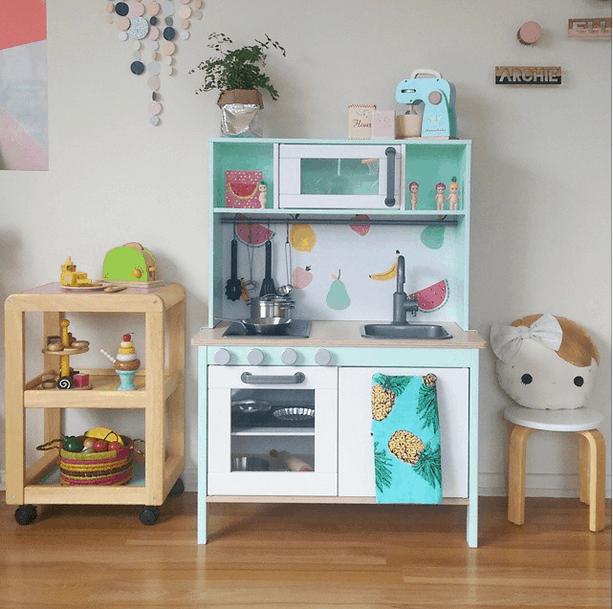 I love what this mom has done to this sweet little Ikea playset for under 25 dollars. The color! By now you should know I love color and the geometric pop on the backsplash. So perfect! This is actually my favorite. The paint color, the fruitiness. It’s so perfect. This is the way we are headed I think. 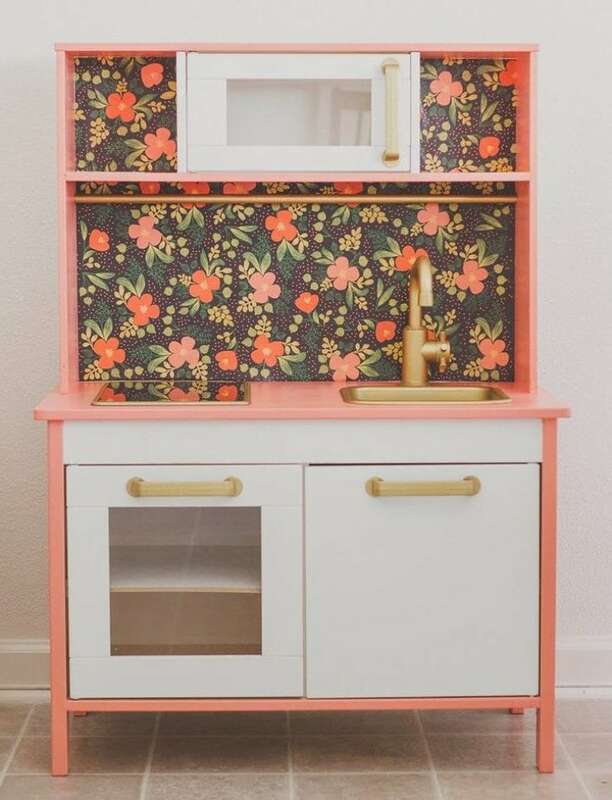 This peach color, gold fixtures and floral paper. It’s so pretty. Monochrome with a splash of gold. So cute. 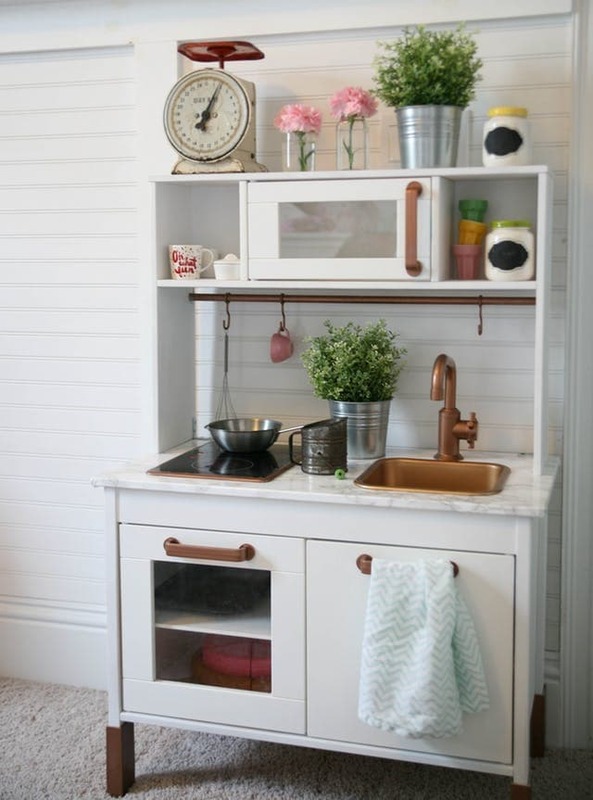 I love this little kitchen! 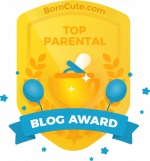 What are you getting your toddlers for Christmas? Have you seen any good Duktig Makeovers?